It’s the subject of many an emergency meeting at Internet marketing companies. It’s the main topic of office discussion most other times as well. There are tomes upon it, it’s often speculated upon and it’s a constant target for hackers. Graphs are built, charts are drawn, but it’s so complicated even Sherlock would give up trying to find the solution. Every search engine runs an algorithm that essentially allows them to organize the billions of websites out there, each of which has its own specific purpose. There simply has to be a way for each to not only sort sites, but to rank them as well. Since Google is by far the most popular search engine, their algorithm the most important. So very important that thousands of people are employed full-time trying to figure it out. But only the lucky few at Google know what is happening for sure, and frankly, they’re not talking. 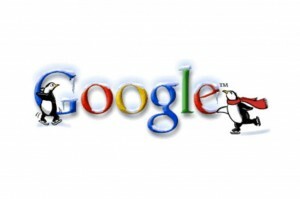 Google’s most recent algorithm update went live on April 26, 2012. Called Penguin 1.1, it’s a constant source of discourse. Most say it’s the creation a supercomputer. Others say it’s the result of genius mathematics. And some – but not many – believe it’s built from the input of 1,500 people who work from home. There are good reasons why Google keeps it close to the sleeve when it comes to their algorithms. Competition is one. And another is that they, quite wisely, do not want to unintentionally manipulate both website makers and Internet customers. Revealing their algorithm is counter-intuitive to its purpose – it is meant to provide real data on what people search for and what they spend time on. By its very nature, the Internet is user-run, something that keeps it cheap and honest. It’s also why usability, look and content are the three most important factors of good websites. If you have a good-looking, functional website with lots of information, and are doing everything you think you’re supposed to do, and your site consistently shows up high in Google searches, but one day, it’s not there, don’t panic! Hang in there. It’s likely temporary. If not, it may simply be time to update your content. Our advice? Don’t let the fussiness of algorithms get in the way of doing what you want with your site. Be strategic, yes, but also be creative. There’s no reason why you can’t have the best of both worlds – a successful website that also looks and acts the way you want it to. PreviousPrevious post:Emphasize Design’s Inbound Marketing Team is Growing!NextNext post:Calgary Online Marketing FAQ: What is HubSpot?